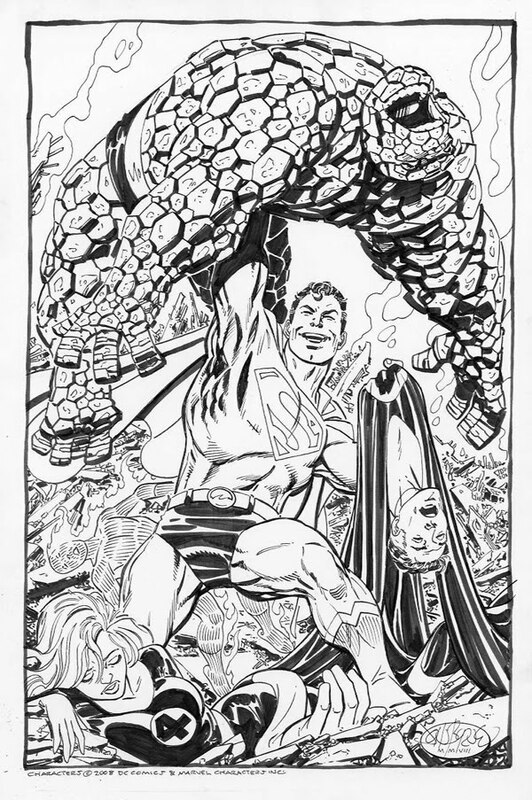 Giant-Size Geek: DC Marvel Crossovers by John Byrne: Doom Patrol, Superman, Fantastic Four, Captain Marvel! DC Marvel Crossovers by John Byrne: Doom Patrol, Superman, Fantastic Four, Captain Marvel! John Byrne's commissions have run the gamut from cover recreations to panoramic vistas of original concepts. Here are a couple of cool ones where the Marvel Universe bleeds over into the DC Universe. 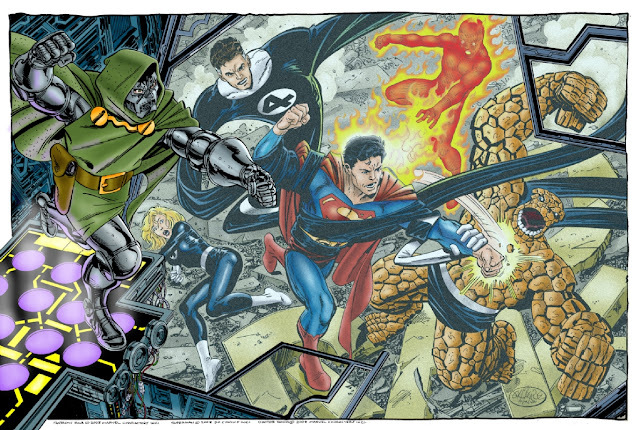 Doctor Doom mind-controlling Superman into battling the Fantastic Four! A neat trick and reminiscent of Fantastic Four 249, where Gladiator fought the team. This is not the first time Byrne tapped this idea. In 2008 he created this illustration featuring Superman relishing in his victory of Marvel's Greatest Team. Poor Ben Grimm! DC's strangest super-team, The Doom Patrol, take on Modok in this one. Rick Hannah colored these two pieces, check out his ComicArt page here! The original Captain Marvel meets the Marvel usurper who stole his name and trademark. Love the fact that the Marvel version has the classic Gil Kane designed costume. 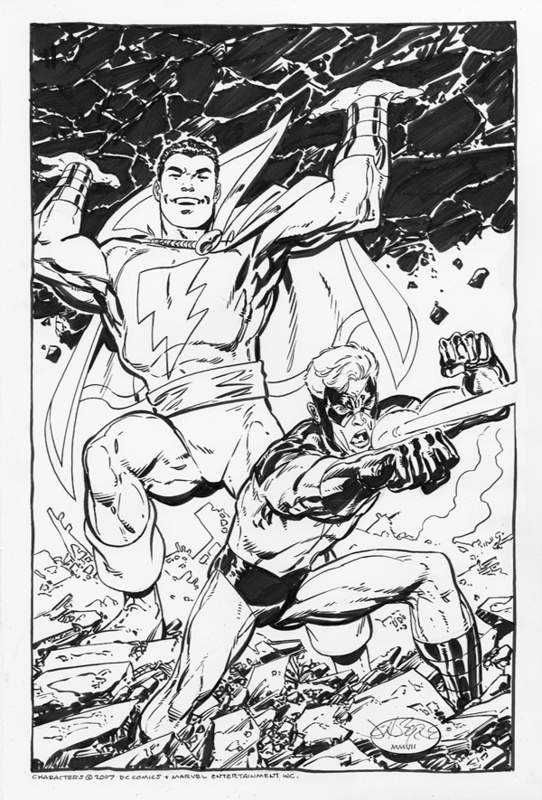 Check out the John Byrne Online Gallery for more commissions! Nuff Said.